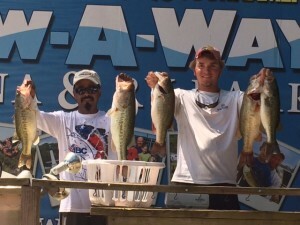 Saturday, June 7 – 13 teams participated our June club tournament (aka “Jelly Jar”) on Lake Conroe today. Not only was it hot, but the boat traffic on LC was at it’s summertime norm. However, it didn’t phase some teams. 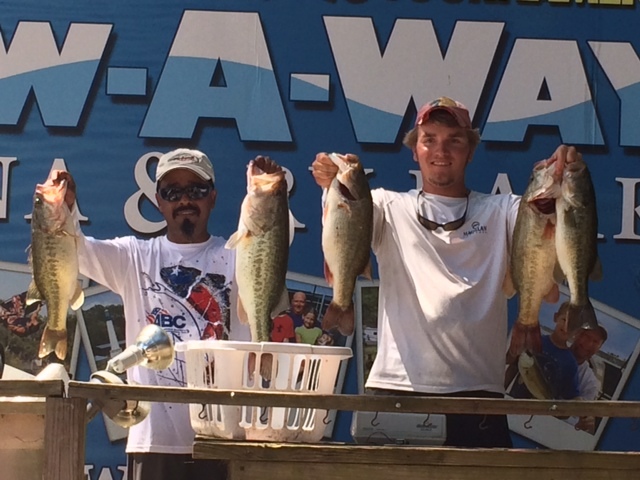 The team of Josh Bensema and Juan Monroy captured the win today with a 5-fish limit for 22-10. 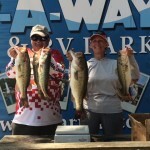 2nd place went to Gwen Reed and Jimmy Patterson 18-05. Rounding out the Top-3 was Terry Reed and Ned Westmoreland (not pictured) with 15-98. Big Bass honors went to Brad McMahon & Brett Jennings with a nice 7-62 toad, followed by Dustin Hill & Josh Litke with 6-45. On a conservation front, with a full lake, level we are pleased to see all of the shoreline cover on LC. There is a mixture of “hay grass” type cover, water willow, cypress trees, cattails, bull rush and lily pads (in full bloom) that can be seen mixed together in a 50-yard stretch. 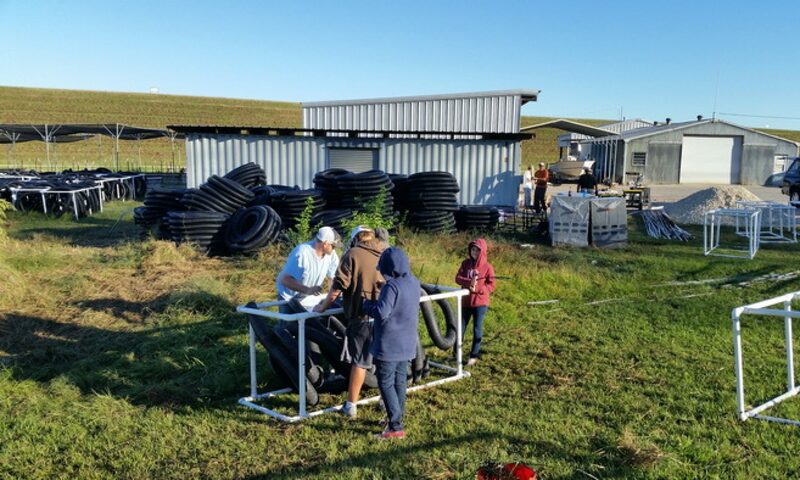 Not only will this native vegetationl help this year’s fry hide from predators (hopefully keepers in the next 2-years) but help with shore line erosion and filter the water creating clear conditions. One final note, all members obliged to the new “clean, drain, & dry” law that went into effect this month. Please remember to do this to protect LC from invasive species of plants and zebrmussels. 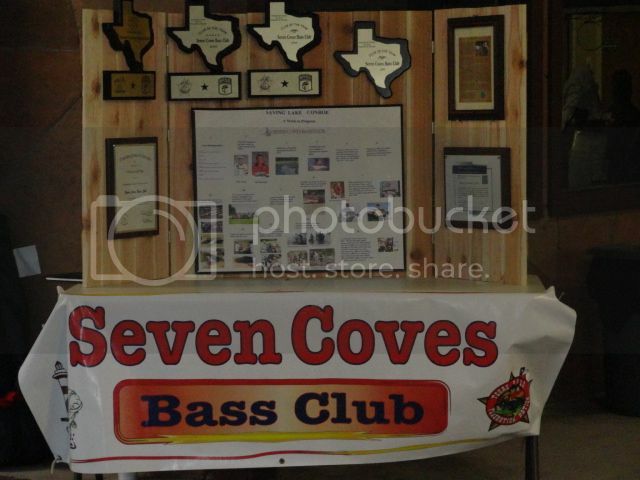 Seven Coves Bass Club was founded in the fall of 2003 in an effort to bring people with a passion for the sport of tournament fishing together. 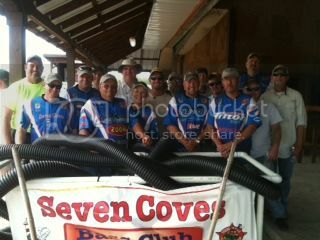 Seven Coves Bass Club has grown to over 60 members of all ages and backgrounds; boaters and non-boaters. As a B.A.S.S. Southeast Texas Federation Affiliated Club, we stand by the rules and by-laws of B.A.S.S. For membership information, click on THE CLUB. Our club participates in six monthly Southeast Texas B.A.S.S Federation sanctioned tournaments, from January through June. Additional tournaments are held July through December. Check the Calendar for updates. We hold meetings at the Seven Coves Club House, located in the Seven Coves subdivision on Lake Conroe. Please visit our History page to see our club history, accomplishments, and community service activities.